The VW Up! has been given its mid-life facelift and will go on sale later this year. 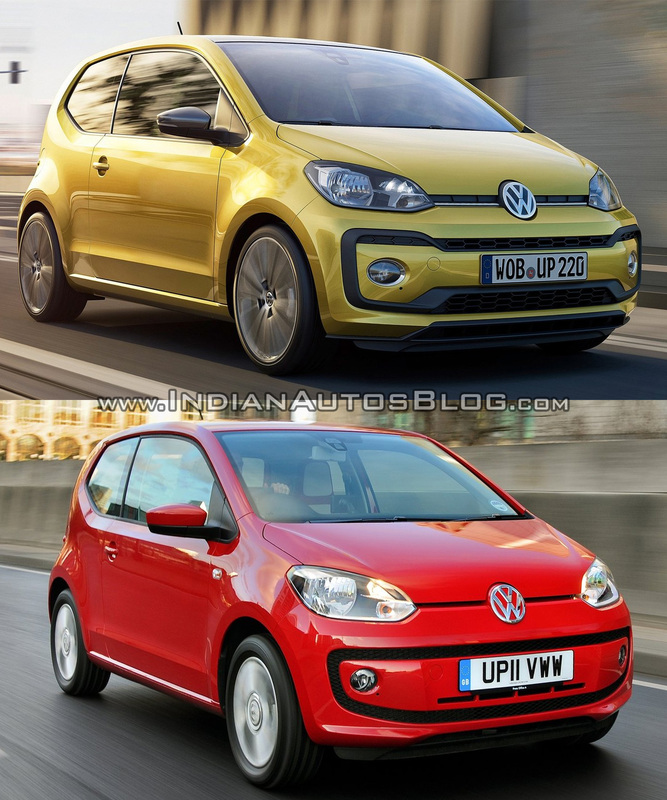 Here's a quick comparison between the pre-facelift VW Up! 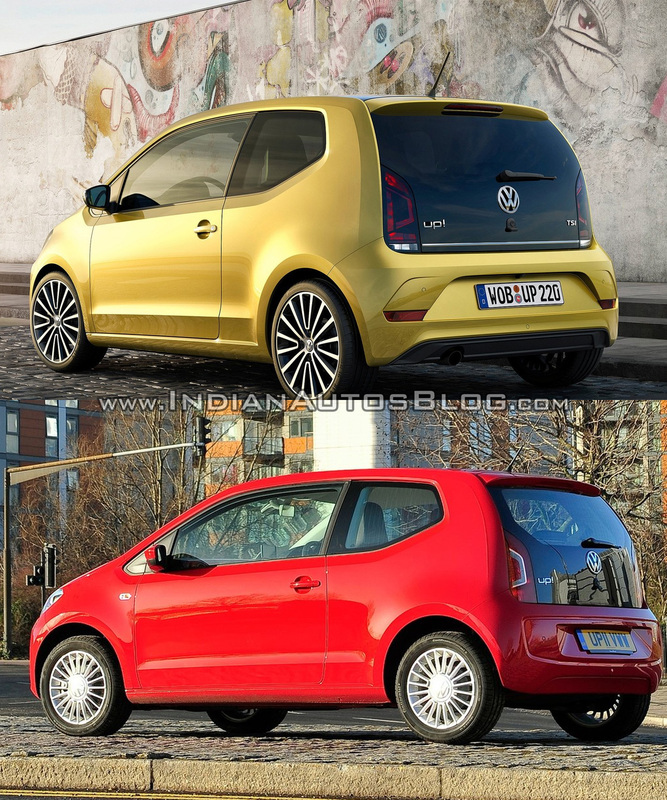 and the facelifted VW Up!. The 2016 VW Up! features new cornering lights which are integrated into the foglamps. The 2016 VW Up! features new headlights with LED daytime running lights, new grille design, restyled bumpers, cornering lights, turn indicators in the door mirrors, new taillight graphics and a chrome strip on the tailgate. A 300 watt beats audio sound system will be available on the facelifted model. The facelifted VW Up! 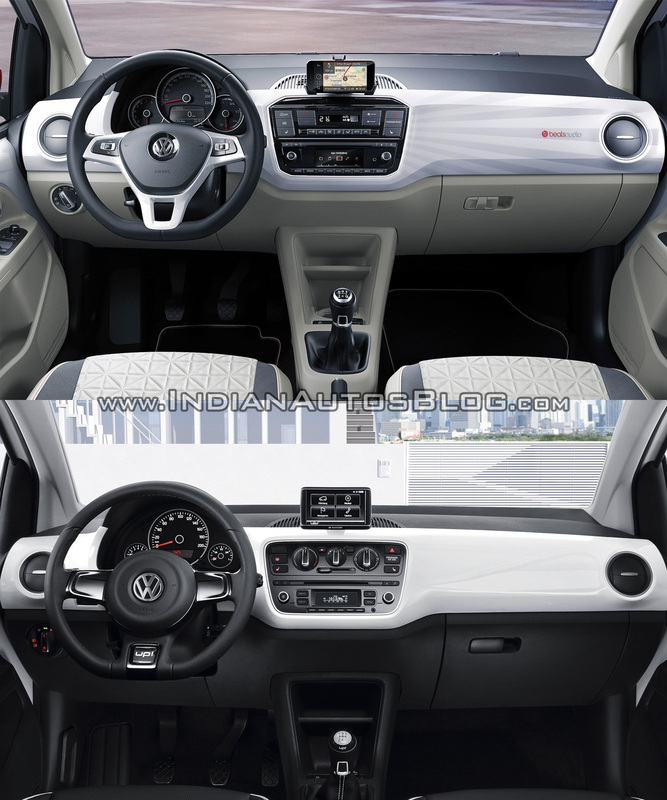 features multi-function steering wheel, new colours and decors for the dashboard, new seat designs, Pure Air Climatronic (automatic air conditioning) featuring air quality sensor and biogenic filter, two new generation infotainment systems – Composition and Composition Phone, and 300 watt Beats Audio sound system. The 2016 VW Up! will be available with a new 1.0-litre TSI turbocharged petrol engine. The VW Up! will now be available with a new 1.0-litre TSI turbocharged three-cylinder petrol engine as well. The Up! is the second model to receive this engine after the VW Golf TSI BlueMotion. The compact engine is the first turbocharged unit to be offered in the VW Up! and produces 66 kW (90 PS) and 160 Nm of torque. With this engine, the VW Up! does 0-100 km/h in 10 seconds and claim a top speed of 185 km/h. Fuel economy and CO2 emissions figures are rated at 22.73 km/l and 102 g/km respectively.